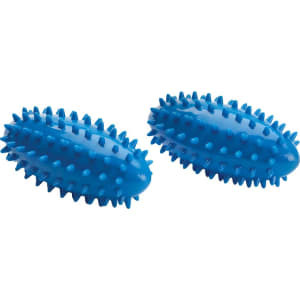 Merrithew Weighted Massage Roller 2pk - Blue (0.55lbs) from Target. our neck, shoulders, forearms and even under your feet to relieve muscular tension and improve circulation. With their added weight, these massage rollers can also be used as an alternative to dumbbells for upper body toning exercises. Color: Blue.